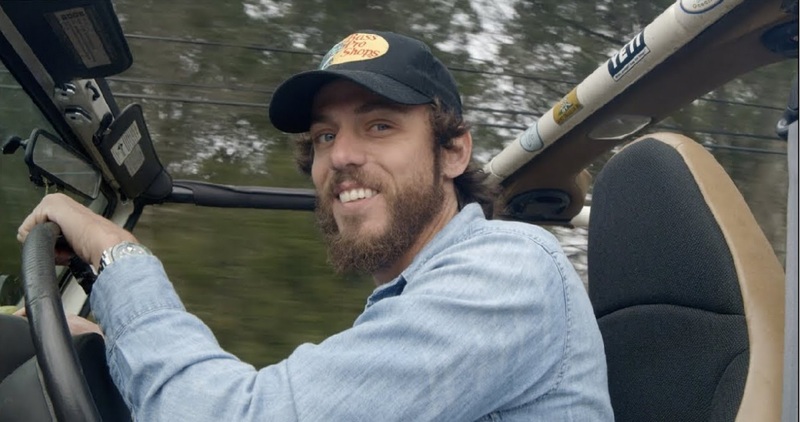 Watch Chris Janson's "Good Vibes" music video and see the behind the scene footage . . .
Chris Janson Good Vibes was released in 2019 and is an upbeat song about having a positive attitude and creating good vibes. “When we wake up in the morning, we have the choice to be in a good mood or a bad mood,” stated Chris. “I believe we can change the world with a smile, a good attitude and a timeless message about being kind to everyone. That’s what ‘Good Vibes’ is all about”. Click the “play” button below to preview the “Good Vibes” song (then click “listen” to stream from the music service of your choice. Watch the “Good Vibes” music video, behind the scene footage and check out the lyrics below. “Good Vibes” was written by Chris Janson, Ashley Gorley and Zach Crowel.